At ROCCO MASONS we work closely with architects, owners, general contractors and builders to ensure the projects we're a part of stand out from the rest. Are you a builder or architect looking to add Stone Carving to your portfolio by OFFERING hand carved architectural stone details to your clients? We do that too and ship throughout North America. For commercial or residential properties, we do it all and take pride in providing nothing but the finest quality with an outstanding client experience. So next time you're looking for ways to make your project unlike any other, give us a call and we will make that happen. 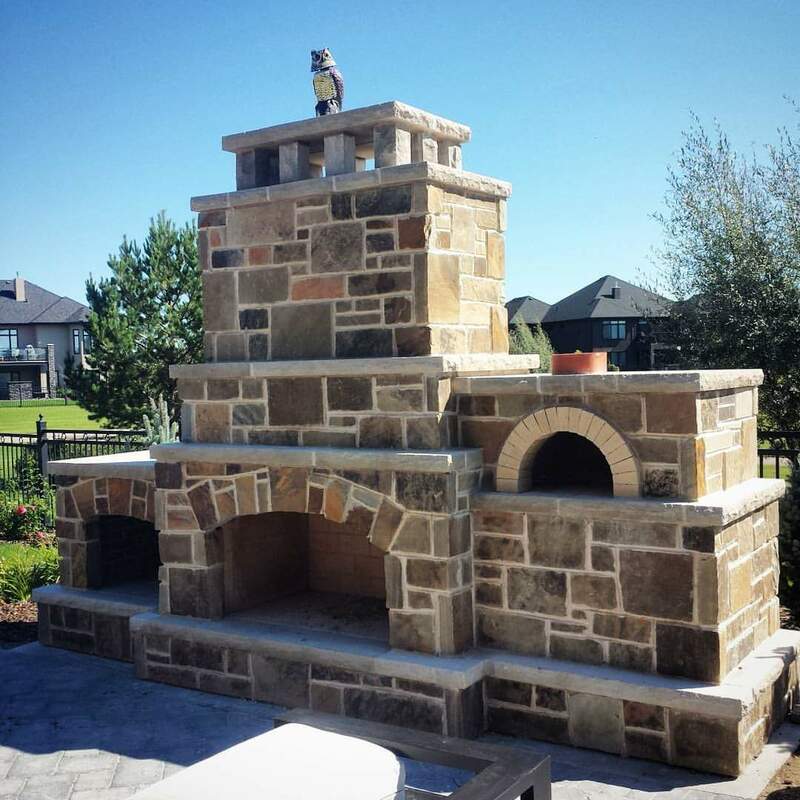 "My husband has wanted a pizza oven for years. Ryan came up with the look and the design for this one in our backyard, and his craftsmanship on it was amazing. These guys don't cut corners. They know what they're doing, they're unfailingly polite and kind, and we love how the oven turned out. Thanks loads"! 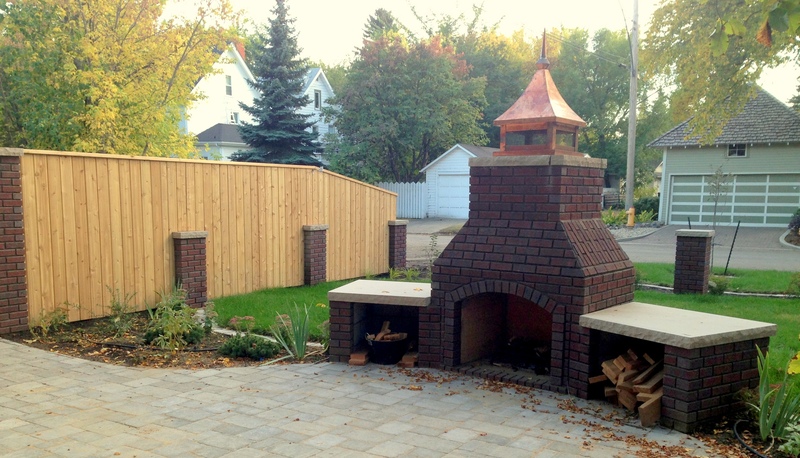 ​"The balance and proportions of the fireplace/pizza oven combo are perfect. It is magnificent!!! On time. On budget. Professional all the way. Ryan and his crew are extremely talented. We have recommended your company to anyone who asks and are extremely happy that we chose Rocco"! "Ryan and his team at Rocco are outstanding! We incorporated brick and stone into our renovated character home and newly constructed home addition. We had hopes of tying together old with new and inside with outside in a cohesive look. Ryan understood our vision and added to it with his suggestions and creative touches. He surpassed all of my expectations in bringing our ideas and his sketches to life. The quality of work and his attention to detail is what sets Rocco apart. They created for us beautiful indoor and outdoor fireplaces with brick and limestone hearth and mantle, brick fence posts with stone caps, and exterior brick accents around our stucco home. 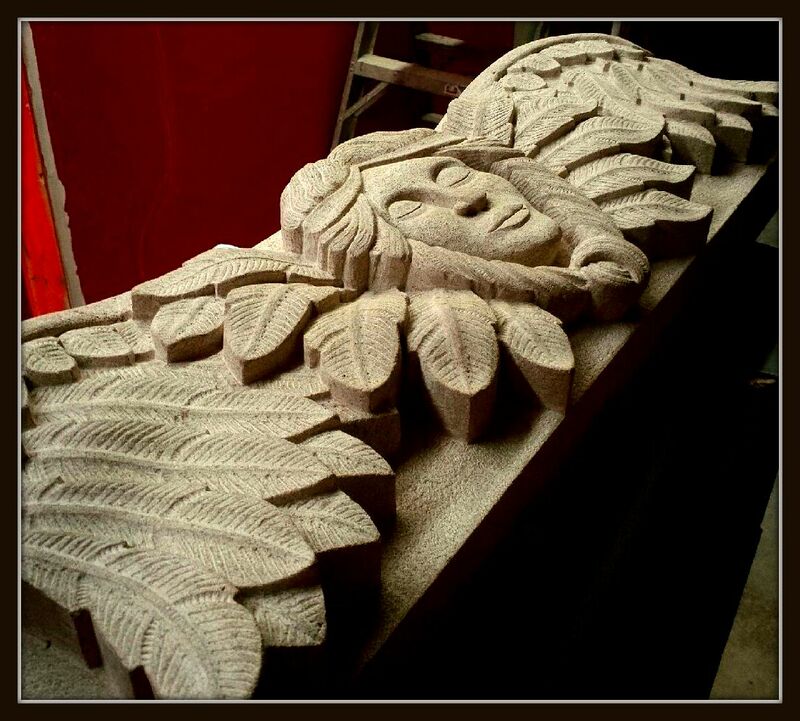 Finally, an address stone completed our project A hand carved Indiana limestone masterpiece. A true work of art. Customer service was great and getting to know this guy was a bonus too! We couldn't be happier". 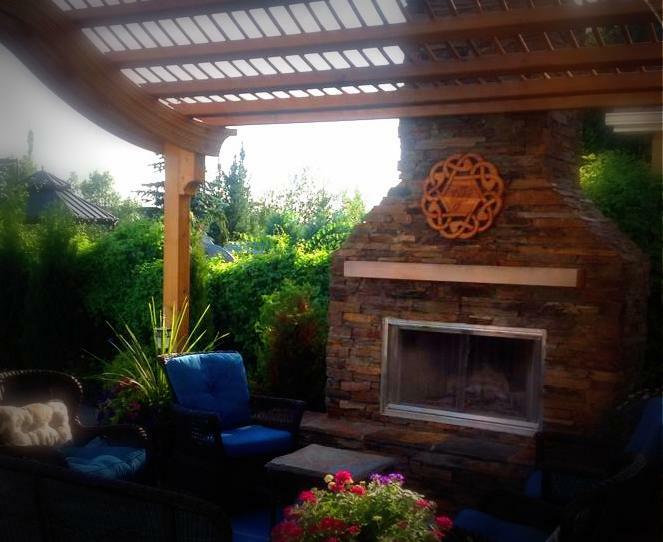 "Ro﻿cco Masons has completed severa﻿l projects at our house over two seasons. Their crew is very courteous and clearly enjoy what they do. The work was booked and completed much faster than we had anticipated as they were smaller projects that Ryan was able to squeeze in between some of his larger projects. The loose ledger rock work on our pool shed, house and fireplace is beautiful, creative and is weathering perfectly. We highly recommend Rocco Masons and are looking for more ways to have them enhance our outdoor living space". 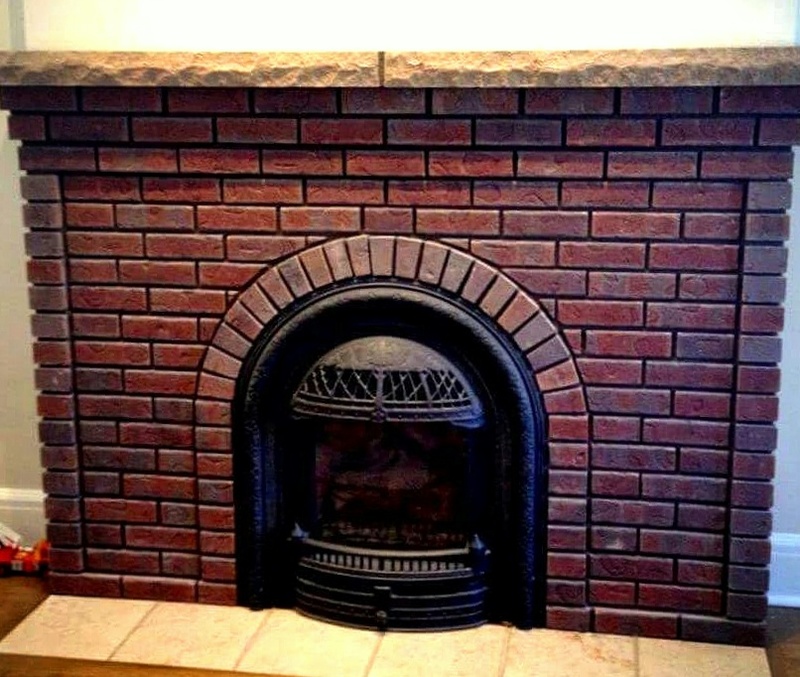 "We couldn't be happier with the results of the work done by Rocco Masons. With Ryan's help, we achieved the look we were hoping for. We are doing a renovation to our 100+ year old character home on Queen St. Our goal was to spruce it up while paying respect aesthetically to the traditional appearance of our home. I've always loved angels! After giving Ryan an idea of what I would like to have, he went to work to design and carve a beautiful piece that we are proud to embrac﻿e as part of our home. She is an amazing work of art - Ryan is a truly talented artist. Ryan and the boys also installed the beautiful stonework on the front entrance stairway and to the front exterior of the house. The job was ﻿done professionally and in a timely manner. They gave us a date for completion and it was done on time! Thanks to Ryan, Nicolene and the boys for their k﻿nowledge and e﻿xemplary customer service". 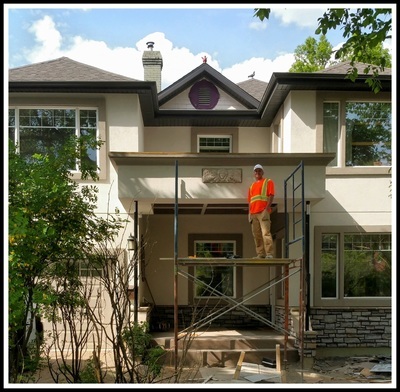 Whatever the scope of your project, our talented team and Masonry Designer will work closely with you every step of the way ensuring seamless integration of our work into your property's existing aesthetic. 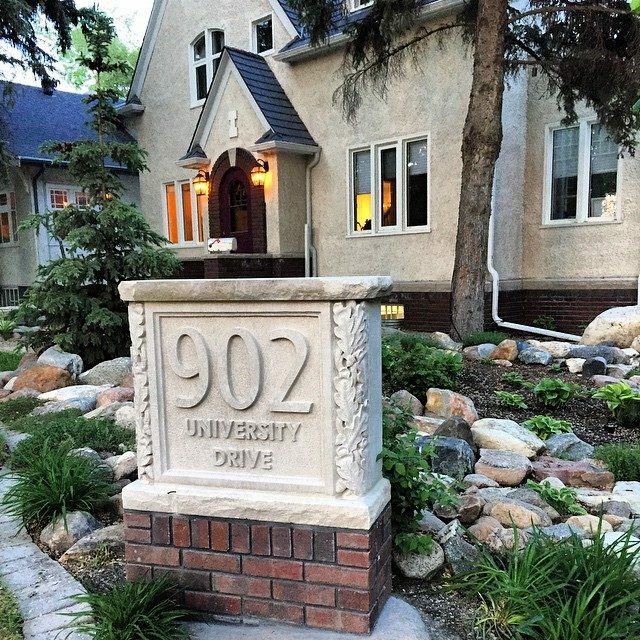 Hand carved architectural stone detail - address marker, family crests, entryway detail, stone columns, garden & landscape ornaments​, the skies the limit!